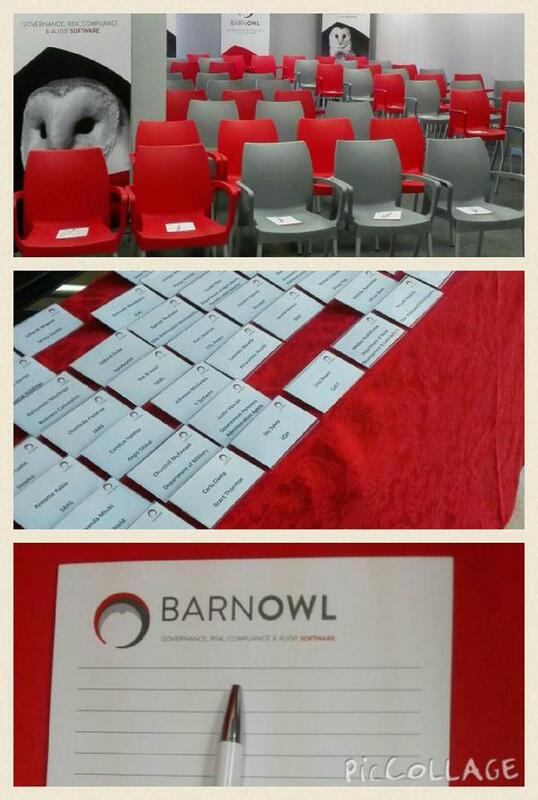 The BarnOwl info sharing breakfast on ‘Practical insights into conflict of interest’ with a focus on supply chain was very well attended on the 25th June. We would like to thank our speakers, André Stürmer from Inoxico and Mbulelo Gingcana from supply chain management of the Civil Aviation Authority (CAA). 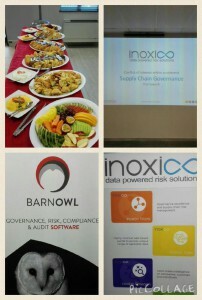 We would also like to thank everyone who attended our breakfast. We had very positive feedback after the breakfast. 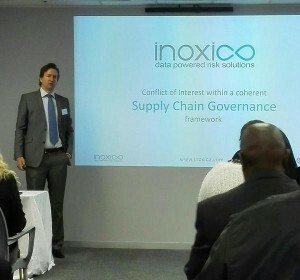 André spoke about ‘Conflict of Interest within a coherent Supply Chain Governance framework’ and amongst other things gave insight into what the Inoxico Matrix software is capable of doing in terms of identifying the links between directors, shareholders, employees, customers and suppliers. Mbulelo spoke on the practical implementation of managing conflict of interest and verifying amongst other things the ‘declaration of interest’ (SBD4) supplier forms rather than taking them at face value using the Inoxico Matrix software. In one instance the software picked up a senior staff member who held more than 30 directorships in the aviation industry many of which were conflicted. Nothing brought home more the importance of ‘conflict of interest’ than the sobering thought that if a person of influence in the civil aviation authority which is the custodian of safety policies also held shares in a flying school where pilot licenses are awarded, we could well have pilots who pass their exams, get their pilot’s license and still have no clue on how to fly; to be the referee and the player as Mbulelo mentioned has some serious consequences when put in the context of ‘safe flight’ for all. There should be no difference between the dangers of pilots who can’t fly and money being ‘stolen / siphoned off’ to suppliers who can’t or don’t deliver and are therefore plundering the state coffers and destroying the lives of those people, especially the poor who rely for their survival on basic service delivery such as health care, water, housing and sanitation. Another useful tip / drive was that the reporting lines of SCM should be right to the ‘top’ (as opposed to the intermediary levels such as the CFO for example) and that this together with a robust SCM process would make it difficult for pressure to be put on SCM officials to ‘tamper’ with the SCM process. 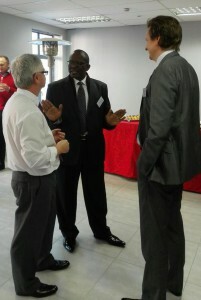 Once again, a big thank you to André and Mbulelo for their insightful presentations. 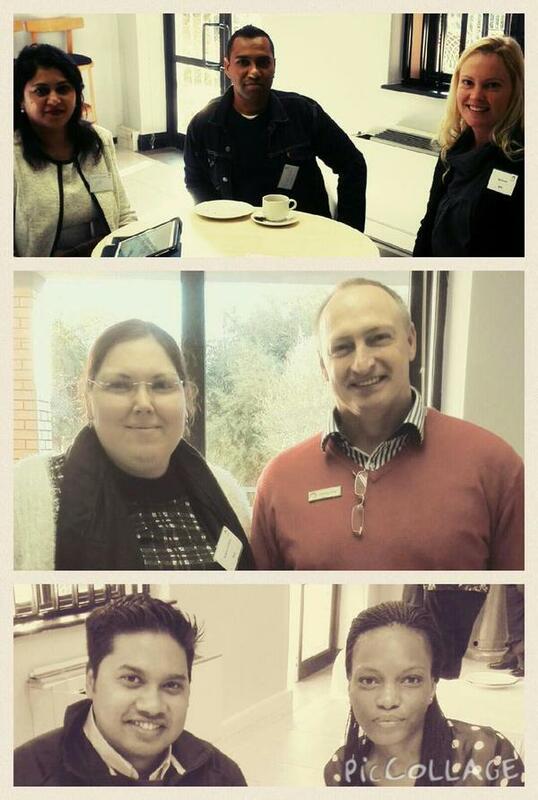 It was extremely refreshing to have a person such as Mbulelo who is in the ‘thick of things’ speaking at our breakfast with such forthrightness and honesty; with more people like Mbulelo in our midst, the confidence of all can only grow and future of our country is bright.